Universal suffrage has been a central objective for socialists from the start. We still have plenty of work left to do. 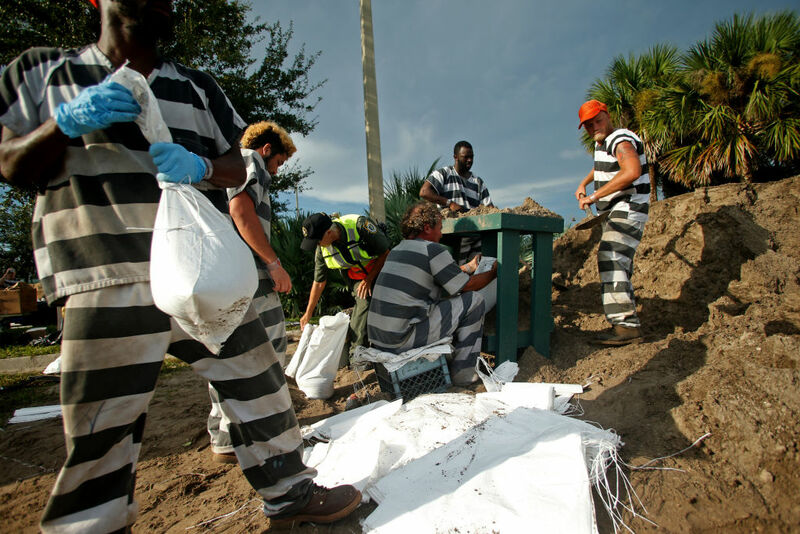 Florida is home to over 1.6 million people with felony convictions. It’s also one of only three states that permanently bar convicted felons from voting. To get a sense of the sheer impact of the policy, do the math: the state is home to about 15 million adult US citizens, meaning that more than 10 percent of the Florida voting-age populace is disenfranchised. This November, a ballot measure aims to automatically restore voting rights to approximately 1.2 of those 1.6 million people. In an attempt to make it more palatable to already eligible Florida voters, the amendment — which requires 60 percent of the popular vote to pass — excludes convicted violent offenders. Disenchanted with two-party politics, American socialists haven’t always made voting rights a top priority. But we should. Expanded suffrage has been a key site of struggle for socialists throughout history, and with good reason. Voting alone may not deliver revolution, but universal suffrage is, as Friedrich Engels put it, “a splendid weapon,” and one we must have in our arsenal if we want to challenge the political power of capitalist elites. Like all restrictive voting laws, Florida’s felon disenfranchisement policy targets the working class, and especially working-class people of color. In the US, the total numbers of incarcerated white and black people are broadly similar, with Latinos trailing close behind; but the rate of incarceration is far higher for people of color, especially black people. That pattern holds in the case of Florida felon disenfranchisement. The numerical majority of disenfranchised Florida felons are white, but because of the racial disparity, an astonishing 21 percent of black adults in Florida can’t vote because of felony convictions. Felon disenfranchisement in Florida is therefore an issue that affects both white people and people of color and has an especially detrimental effect on the political influence of the latter. Across lines of racial difference, the pre-incarceration income of incarcerated Americans is drastically lower than the national average. And research shows that class status is a driving factor in who gets and stays locked up. While there’s no available data on the income of Floridians with felony convictions, we can extrapolate from the national data that they’re highly likely to be poor or working class — both because poor and working-class people are targeted by the criminal justice system to begin with, and because having a felony conviction harms job opportunities after release. So, when we see that 10 percent of eligible voters in Florida are barred from voting because of past crimes, we should interpret it as an assault on the political power of the multiracial working class. As socialists, whose primary project is to empower the working class to square off against capital, we have a vested interest in this fight. The potential electoral advantage, owing to the demographics of the constituency in question, is reason enough for Democrats to support reversing felon disenfranchisement laws. And many do — though they struggle to balance their desire for more votes against their commitment to appearing tough on crime. But as socialists, our main concern is not whether the Democrats emerge victorious over the Republicans. It’s whether the working-class majority triumphs over the capitalist minority that exploits its labor and makes off with the profits. Expanded suffrage is beneficial for us in this project, too. On principle, democratic socialists believe that the people who make up society should have a say in how that society operates. In furtherance of that principle, it’s incumbent on us to politically intervene in cases where that clearly isn’t happening — which is why socialists were front and center in the struggles for women’s suffrage and voting rights for African Americans. It’s slower and more boring than the call to revolution, but it’s ten times more sure, and what is even better, it indicates with the most perfect accuracy the day when a call to armed revolution has to be made; it’s even ten to one that universal suffrage, intelligently used by the workers, will drive the rulers to overthrow legality, that is, to put us in the most favorable position to make revolution. Universal suffrage is the gauge of the maturity of the working class …. On the day the thermometer of universal suffrage registers boiling point among the workers, both they and the capitalists will know where they stand. When Engels wrote this he hadn’t had a chance to observe the cleverest suffrage work-arounds of the American two-party system: the gerrymandering, voter suppression, strict laws stymieing independent political parties, and the pervasive feeling of alienated disempowerment among the working class engendered by decades of political disappointment. In light of these, and on top of them the generally low level of class consciousness in America, it will take a lot more than expanded suffrage to get us to the point where a working-class political force is challenging capital so effectively in the state that the capitalist class essentially invites a revolution by abandoning all pretense to democracy. But if we’re sympathetic to Engels’s argument that proletarian successes in the electoral sphere will both act as a barometer for preparedness for a revolution and also help establish the conditions for one, then we should also accept that nothing of the sort is possible if massive swaths of the working class are prohibited from participating in sanctioned democratic politics altogether. While felon voting laws are far from being the decisive obstacle to socialism, any opportunity we get to clear the path for mass working-class political participation is one we should pursue — precisely because, per Engels, the payoff could be enormous. Socialists should champion efforts like Florida’s ballot measure, and we should also endeavor to push the political project of expanded suffrage even further. For example only two states, Maine and Vermont, give every person the right to vote even while they’re incarcerated, no matter the nature of their conviction. In every other state, people lose their voting rights when they’re in jail or prison and they’re restored either upon release or upon completion of a waiting period. The Left in the other forty-eight states should seek to emulate Maine and Vermont when it comes to voting and incarceration. We should also broaden our conception on voting rights to include other forms of working-class disenfranchisement. For example, there are over eleven million undocumented people in the United States, nearly all of whom work. Not only do they contribute through their labor to making society run, but millions of them also voluntarily pay taxes. People who work and pay taxes in a society ought to be able to vote in that society. In San Francisco, where one-third of the children in public schools have foreign-born parents, school-board elections were opened up to undocumented immigrants this year, provided they have children in the school system. The decision illustrates the principle in miniature: voting-age adults who are directly affected by the outcomes of elections should be empowered to participate in those elections. And finally, socialists should see the fights against gerrymandering and voter suppression as part of our larger push toward universal suffrage. We tend to leave these issues to Democrats, who are interested in them for purely tactical reasons. But we have strategic investments of our own in making it easier for working people to vote. Instead of abdicating voting-rights protection to the political center, we must make it part of our socialist agenda. Universal suffrage may be “a splendid weapon,” but not if we don’t — or can’t — use it. In this country, blacks ostensibly received the right to vote in 1870, but it still took nearly a hundred years for explicitly discriminatory ballot practices to be eradicated, and many of those practices continue even today. As the legacy of Jim Crow demonstrates, we can’t be satisfied with suffrage in theory. True universal suffrage is suffrage in action, and it won’t be achieved without a struggle.